I know, I know, lasagna—not exactly consistent with the theme of last week’s posting in which I gave voice to a post-holiday impulse to lay off the sort of rich, rib-sticking foods I’m usually drawn to. What can I say? I did that for a few days, and then, well, I didn’t want to anymore. And in truth, I’m a big believer in giving your body what it’s asking for, so if it wants spinach give it spinach, and if it wants pizza, give it pizza… at least in moderation. Anyway, that approach has pretty much worked for me, with an understanding that if the pizza begins to outweigh the spinach, it may require a dialing up of the exercise routine. Still, lasagna is the sort of thing I never make and rarely order, despite the fact that it’s a dish I really, really like (I mean seriously, who doesn’t?). It’s simply one of those foods, like chocolate cake and fried chicken, that I managed to erase from my inner favorite foods hard drive, having determined that it posed too much of a challenge even for my relatively speedy metabolism. 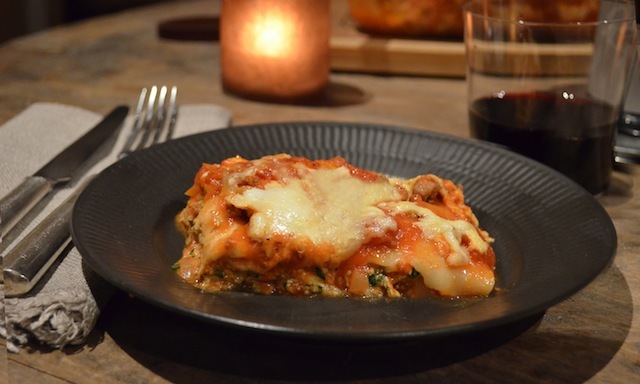 But several months ago, when my friend Dennis casually mentioned that he’d made lasagna the previous weekend, the lost (or at least hidden) memory of that seductive dish came rushing back, reigniting a craving that proved as powerful as it was insistent. I’m not exaggerating when I say that anytime the issue of what to cook arose, lasagna was at the head of the line, demanding equal consideration. And so, in the end, there was nothing to do but ignore my reservations and welcome the dish back into the kitchen. Of course, that eventual waving in process also involved finding the right recipe, a process which took longer than expected as I discovered one more reason the dish hadn’t been featured on my table lately: most versions of it can take the better part of a day to prepare. That was more time than I was ready to commit to something I wasn’t convinced I should be making at all. Still, if I could find a recipe that somehow sped up the process to no more than a few hours without giving up the rich sauce and classic mix of ingredients I associated with all of my favorite lasagna-eating experiences (namely ricotta cheese, mozzarella, Parmesan, and sausage—this last an absolute requirement) then I was in. And after scanning my own archives and a variety of cooking magazine websites, that’s exactly what I found in the ever-reliable America’s Test Kitchen cookbook. As I recall, “simple” was the key word in their description, and while I question whether any lasagna, no matter how speedy its assembly, can ever be called simple (let’s face it, with its multiple layers of sauce, noodles, and cheese, few dishes require more assembly than this one), two key shortcuts promised to get me to the finish line in record time. 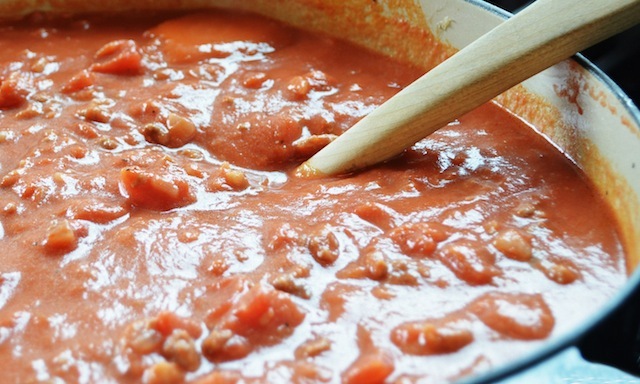 The first involved fashioning a bolognese that had all of the rich, well-rounded flavors of a long simmered sauce but in just a fraction of the time. 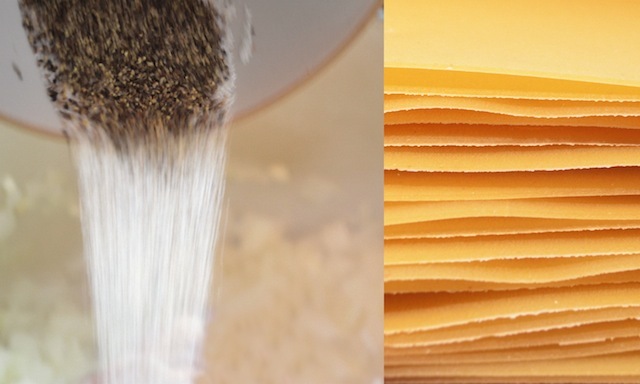 And the second with swapping out traditional lasagna noodles with the no-boil variety (also called “oven ready”) that are now standard issue on most supermarket shelves—a step that eliminates the laborious process of boiling the noodles, then plunging them in ice water and carefully laying them out so they don’t clump, all prior to putting together the actual dish. Of course, many recipes make promises—the question is: do they deliver? In the case of this one I’m here to tell you that it does, in large part because that meat sauce is so damn good. Traditionally the sauce’s richness comes from a slow-cooking process that takes hours to complete, but that here is achieved through a handful of steps completed in little more than 20 minutes. The key is simmering the onion, garlic and meat together for a few minutes, adding a small amount of cream for body, then incorporating both the puréed and the diced tomatoes in the final minutes. 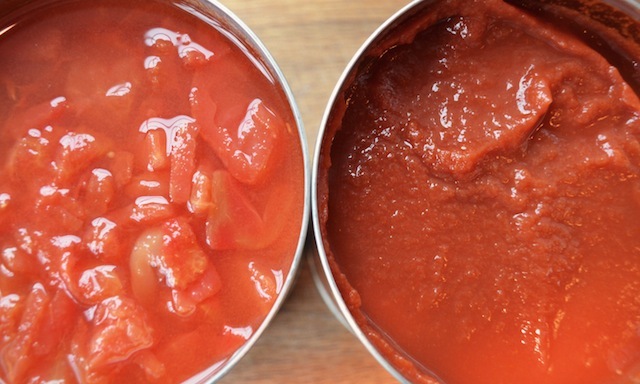 It’s a combination that ensures the finished sauce will be velvety smooth while still offering the homey satisfaction of chunks of whole tomatoes—a case of having your cake and eating it too. Just be sure to pour the juice off the diced variety before adding it to the pot or the finished product will be disappointingly wet and loose. It’s a mistake I made, and while it had no discernible effect on the flavor of the dish, a slice of lasagna should look firm and almost block-like and not, well, like a melting mound of tomato-smothered noodles. That said, I tend to like my sauce slightly tangier than I found this one to be. If you’re similarly inclined, increase the salt from a ½ to ¾ of a teaspoon, and add a ¼ cup chopped fresh basil along with a ¼ tsp dried oregano—minor tweaks that ratchet up the flavor quotient. Of course, where anything tomato-y is concerned I lean towards the heavily seasoned, so let your own preferences guide you here. Either way, the sauce will still have plenty of full-bodied flavor. And as for the all-important meat component, the recipe suggests using a pound of meatloaf mix (equal parts beef, pork, and veal), though it notes that a ½ pound each of beef and sweet Italian sausage will also do the trick. Given my porky preferences mentioned above, I naturally went for the sausage alternative—a move that delivered just the sort of mildly spicy flavor I was looking for. And if you buy the sausage in bulk form you can avoid the time consuming process of removing the meat from its casings. —12 no-boil lasagna noodles from one 8- or 9-ounce package. —Adjust oven rack to middle position and heat oven to 375˚. —Heat oil in large, heavy-bottomed Dutch oven over medium heat until shimmering but not smoking, about 2 minutes; add onion and cook, stirring occasionally, until softened but not browned, about 2 minutes. 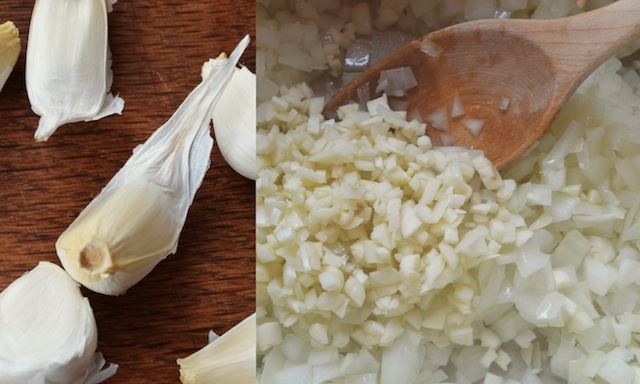 Add garlic and cook until fragrant, about 2 minutes. 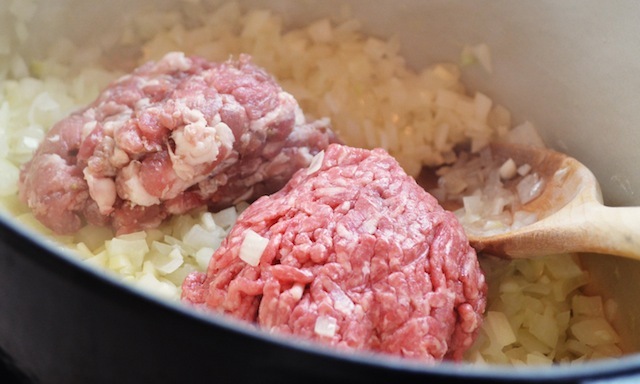 —Increase heat to medium-high and add ground meats, salt, and pepper; cook, breaking meat into small pieces with wooden spoon, until meat loses its raw color but has not browned, about 4 minutes. 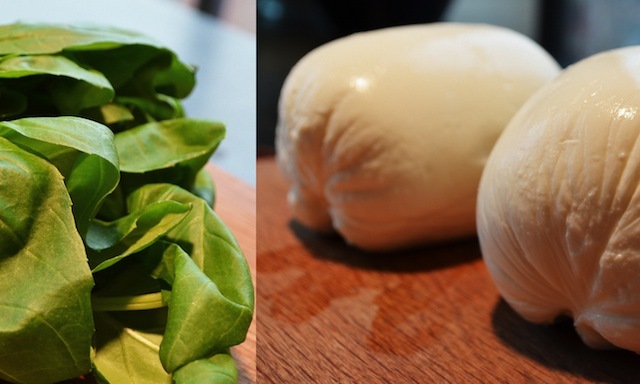 —Mix ricotta, 1 cup Parmesan, basil, egg, salt, and pepper in medium bowl with fork until well-combined and creamy; set aside. 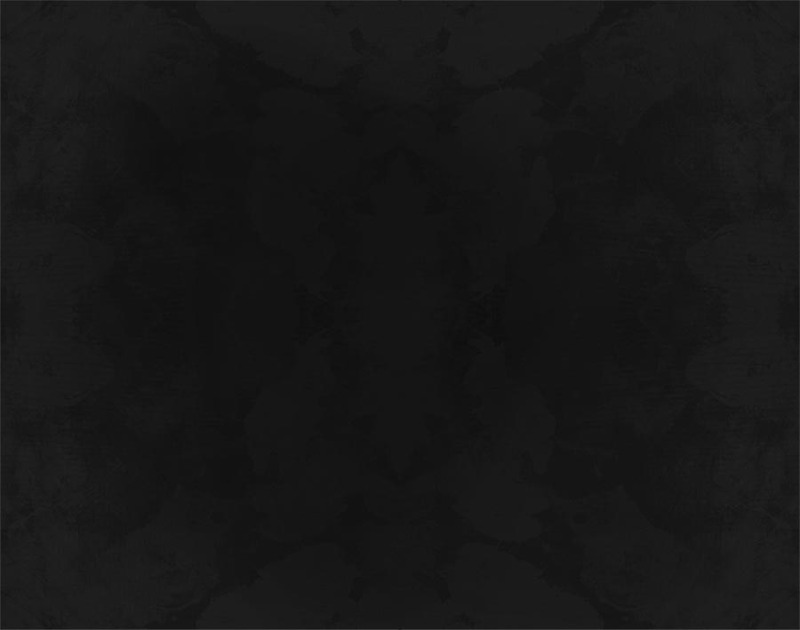 —Smear entire bottom of a 9- by 13-inch baking dish with ¼ cup meat sauce. Place three noodles on top of sauce, then drop 3 tbs ricotta mixture down center of each noodle, leveling the cheese by pressing flat with back of measuring spoon. 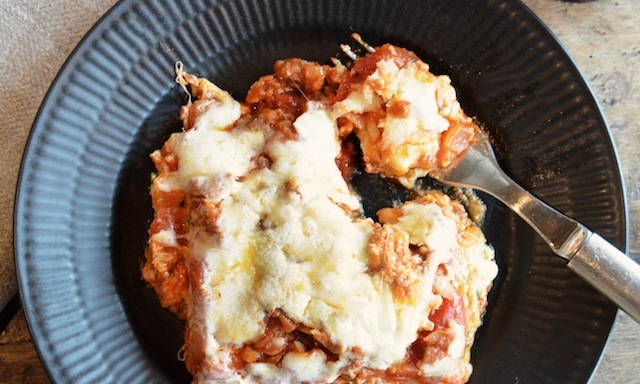 Sprinkle evenly with 1 cup shredded mozzarella, and spoon 1½ cups meat sauce evenly across the cheese. 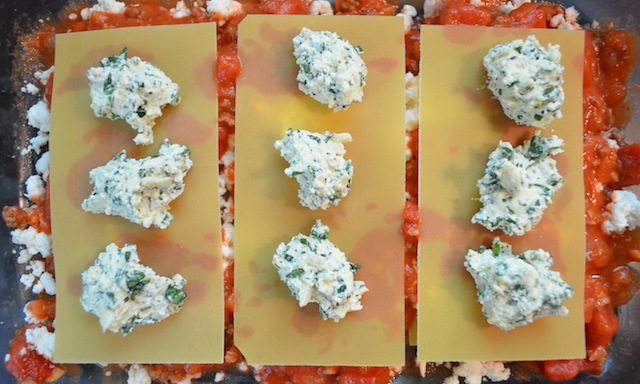 Repeat layering of noodles, ricotta, mozzarella, and sauce two more times. Place three remaining noodles on top of sauce, spread remaining sauce over noodles, sprinkle with remaining cup mozzarella, then with remaining ¼ cup Parmesan. —Lightly spray a large sheet of foil with nonstick cooking spray and cover lasagna. Bake 15 minutes, then remove foil. Return lasagna to oven and continue to bake until cheese is spotty brown and sauce is bubbling, about 25 minutes longer. 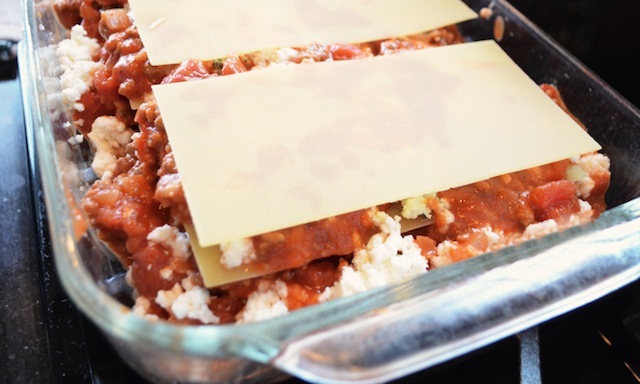 Cool lasagna about 10 minutes; cut into pieces and serve.